This real estate Q & A was written for the Fourth of July edition of The Sheet. Q: Does Mammoth really need any more affordable housing? A: This really is a good question, one worthy of some discussion. On face value there are real estate development interests that would say no. The Mammoth Lakes Housing proponents would say “yes, we’re still very short.” And those local residents who would like to own an affordable home say “of course.” But let’s delve a little deeper. It can be a somewhat confusing, complicated and contentious subject. First, let’s be clear. “Affordable Housing” is the common term for government sponsored and subsidized housing including properties that are deed restricted for persons within certain income and local employment categories. 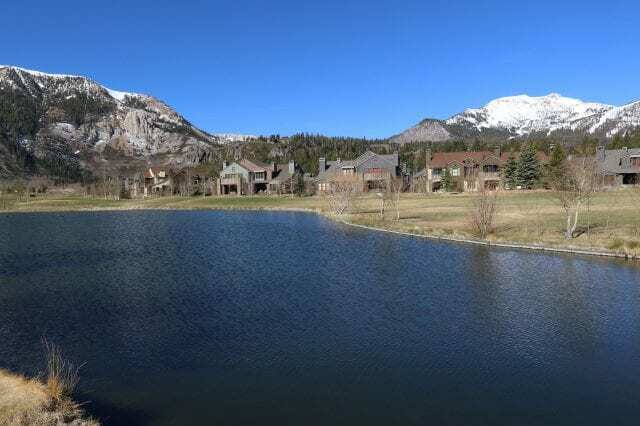 Some people like to call it “workforce housing.” Mammoth Lakes can always use more open market housing that is affordable. But that isn’t a reality in most mountain resort communities, especially ones with very limited private land like Mammoth. Under the affordable housing umbrella there are properties for rent and there are properties for local residents to own through a variety of programs. Mammoth embarked on an aggressive program to create affordable housing in the early 1990’s. There is ~25 years of history. The early years were about planning and envisioning. 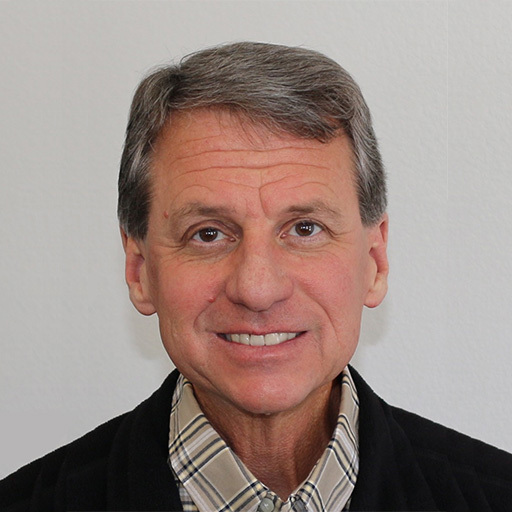 The Mammoth Lakes Housing entity was established. The first project was the Bristlecone Apartments on Chateau Road behind VONS. As substantial real estate development started the in the late 1990’s the program accelerated with the development of both rental and ownership units. The goals included developing properties in a variety of interspersed locations rather than one big concentration and to give the projects a quality and assimilating appearance. After all, this is a resort community. We were assured that the annual “certifications” of the projects would guarantee that. Affordable housing is recently back in the news because the Town Council is reviewing, and potentially revising the developer associated requirements and impact fees. These were relaxed during the Great Recession. Also in the discussions is the subject of “inclusionary zoning”…. (inclusionary zoning has always been rather pretended in Mammoth; no developer wants affordable housing built within a resort development). These discussions are nothing new. There has been 25 years of this affordable housing ping-pong in Mammoth. The development interests want to negotiate the requirements down during tough economic times or when it is impacting their “return.” The Housing interests want to increase the fees and requirements when they think there are big profits in real estate development. And that is why we are currently at a strange crossroads; there is demand in a small niche of the development market for certain small developers and little demand for (and in) the larger development projects. 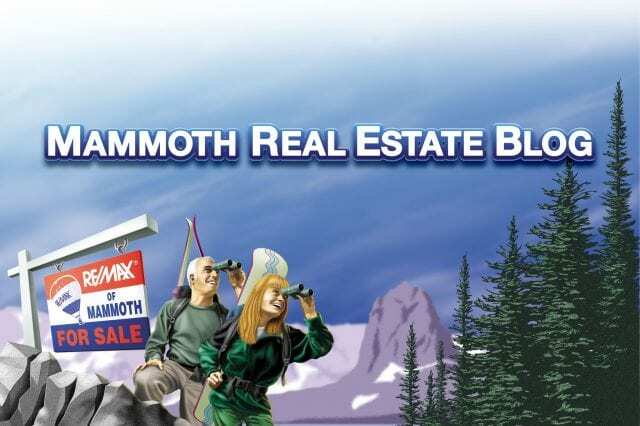 The cost of any real estate development in Mammoth is very expensive. Today, where there is some demand there is still only so much profit margin. The Housing interests need to realize the dynamics. And that the market conditions have always, and will always play ping-pong. Some people think the Town can “incentivize development” by reducing the housing fees and other impact fees associated with development. What incentivizes development is demand. Demand at a level where there is potential profit worth taking the risk for. The public and private leadership in this community simply aren’t doing much to get people excited to create any significant demand. Mother Nature can only do so much. And drought winters don’t help. The demand created by a demographic wave and loose credit drove the Intrawest development cycle. And the public and private leaders cooperated in making things happen. The Starwood period (since 2006) has been a big nothing. Some are now calling it “the Mammoth Malaise.” Reducing impact fees to “incentive development” is just a ruse. It takes more than that. When the Council talks about “incentivizing development” what they are really saying is they don’t want to dig into the projected profit margins of development so much that the developer packs up and goes to a more economically friendly environment. But that is likely to happen. Mammoth isn’t all that inherently developer friendly. And the outside competition is fierce. The Housing interests need to understand that too. 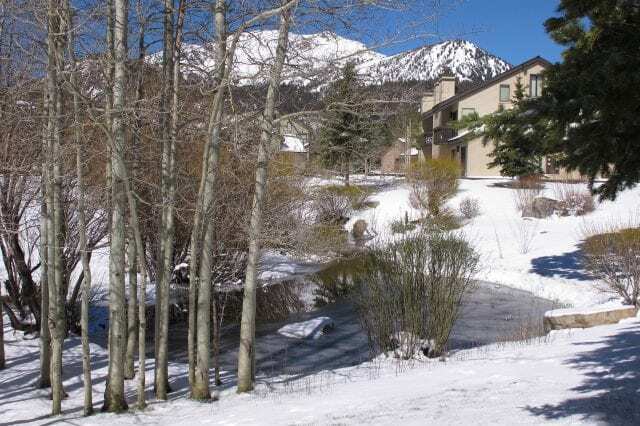 Mammoth Lakes Housing has been productive and successful. But they have had their missteps too. Many of the deed restricted units have had to have their restrictions removed because there isn’t/wasn’t the demand for what they developed (oh the irony, who really are the developers?). They may buckle under that and have their “reasons” but anybody with a front row seat to Mammoth real estate has seen it clearly. The open market often rejects these newly unrestricted units until the price goes so low that people find them so ridiculously “affordable” that they purchase them (mission accomplished?). A larger example of this scenario is the San Joaquin Villas project. This was a significant 40-unit (large townhomes) affordable housing project developed in the center of town. Some even have garages. This was primarily funded by Intrawest as development mitigation. These units were conceived as “for purchase” units. Ideally, this project should be housing local residents who provide valuable employment in our economy. That was the plan. But there wasn’t the demand. Maybe the timing was unfortunate. Maybe the market research was wrong. But it failed as an “affordable” housing project in Mammoth. The deed restrictions had to be lifted in order to liquidate the project. Today it is a mishmash of deed restricted units, local residents who purchased (on the open market) because they were affordable and had good utility, and vacation homes. Today, potential buyers perusing the Internet find them attractive because they are newer, have space and a low price-point. But most aren’t fond of hearing about the overall history and arrangement of the project. Inevitably it will return to being affordable housing for local residents via the open market. These experiences do make you question whether we really need to build anymore affordable housing. Or at least how we go about it. And local (open market) landlords will tell you that there are plenty of local residents who don’t want to live in the deed restricted projects once they have lived in them. They would rather pay market rents and live where they choose. It is certainly an interesting social phenomenon. The bigger question might be; What do we really want to incentivize and/or subsidize?? Do we want to incentivize shaky development? Probably not. Do we want to incentivize quality development? Probably so. One thing we might be subsidizing is the auto industry. The “for rent” affordable housing projects are notorious for having plenty of nice cars and trucks in the parking lots. It is a common gripe for local residents who don’t live in these projects and pay attention to things like that. It makes sense that if your rent is low you can afford a nicer vehicle. Are the “waiting lists” really just locals who want luxury rides? Is this really what we are trying to incentivize? Ford and GM like the idea. Some of the affordable housing projects in Mammoth are also allegedly known for their more-than-average number of police calls. Hopefully we’re not subsidizing bad behavior. Do we really need more of that? And then the Ski Area argues that TOT (bed tax) should pay for affordable housing instead of impact fees. But shouldn’t TOT be paying for all of the services the new development creates like police and emergency services, road clearing and maintenance, and superior recreational opportunities for all of the guests? The Ski Area’s masters own most of the developable land in Mammoth, so of course they think that. All of this perceived need for more affordable housing is assuming major growth and development in Mammoth. What will create this next big surge of real estate development? I’m not seeing the catalyst. Starwood can hope, but they sure aren’t pushing any agenda that would create it. I don’t think million dollar zip-lines will do it. Maybe we should simply propose higher TOT in the new developments and allocate the addition tax revenue to Housing. More “let the visitors pay for it” thinking (like the TBID). And what about the role the 100’s of smaller, aging condominiums?? Maybe they will once again fulfill an affordable housing role. The available inventory appears to be increasing. The “more mobile Millennials” are reported to like smaller spaces. Might be a perfect fit. Or maybe we’re heading back to SROs (single room occupancy) units? And I hear lean-tos in the forest are the new local housing rage. Ultimately, the affordable housing “needs” are likely more noise filling up government agendas and newsprint than anything else. Thankfully we have things like skiing, hiking, biking, fishing and all of the other outdoor fun stuff to keep us truly occupied.